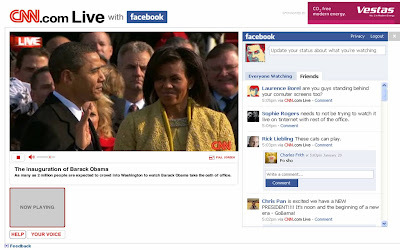 Social TV - does the Inauguration coverage mark a watershed moment? Will all broadcasting be social in the future? In 2000 AOL tried to combine AOL's IM service with TV through a special set top box. Slow dial-up connections made this product unviable at the time, but the idea of combining chat / social features into mainstream TV viewing has gradually gained momentum as connection speeds have increased. I have previously written about Social TV, but the online coverage of the Inauguration has taken things to a new level and could be a defining moment in broadcasting history. The Ofcom Communications Market Report 2008 detailed that 36% of UK TV viewers have used the internet whilst they are watching TV. This has led to the rise of live blogs around event TV - both around Sports coverage and around shows like The Apprentice and The X-Factor. In the US, CBS have also launched social viewing rooms where viewers can have live discussions with friends / other fans during TV shows and have incorporated Twitter into their News programming. 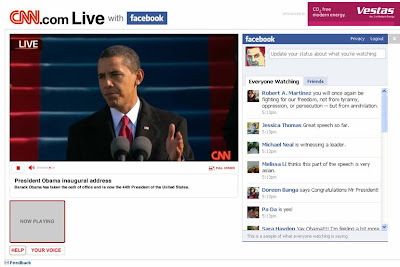 However, the CNN Inauguration coverage took this idea one step further by linking up with Facebook and allowing Facebook users to discuss coverage with both their Facebook friends and the world at large. Other sites like Joost and Hulu also streamed live coverage online and Twitter saw a massive uplift (5 times more tweets than usual per second) in usage as internet users again discussed events with their followers and friends. However, whilst the online coverage and the interactivity were great, there were still some technical issues. - Bandwidth. There have long been concerns that the current internet infrastructure cannot support the huge growth in video streaming and with so many people tuning in online, the whole internet seemed to creak yesterday - even loading up simple websites was hard for a period. 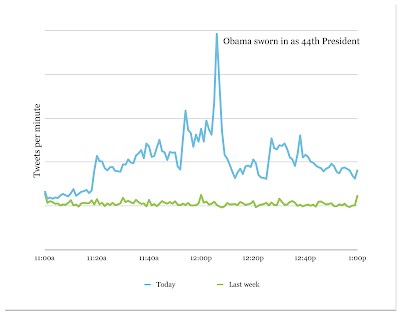 The coverage generally stayed on, but watching Obama's speech with pauses and jumps in coverage was not great - we all went to find a normal TV at this point. - Pre-roll video. CNN's coverage was sponsored by Vestas and they had a pre-roll video of windmills with a message about wind power. However, from time to time (especially during the speech) the CNN coverage would freeze and on refreshing the window you would have to watch the pre-roll Windmills again. I found myself on the verge of shouting 'shut up about the windmills and let me watch the speech'. I'm not the only one who found this frustrating (cue Le'Nise) and if ever there was a sign that we need something other than pre-packaged TV ads for online coverage, then this was it! The social integration worked really well for the Inauguration. How long before this format is applied to events like the FA Cup final or Eurovision? Indeed, Rick Liebling at EyeCube suggests that it won't be too long before this format is applied to Superbowl or the Oscars and as Digital Examples says - we want more! In time I think we will find this social model being applied to standard TV set and not just online video streaming (though they might be one and the same before too long). At CES TV manufacturers were talking about widgets for TV sets, with a Yahoo / Intel initiative, in partnership with MySpace, unveiling plans for bringing social media to the living room. Yesterday 'Change' happened and it wasn't just in the White House or on the White House website. The Inauguration marked the start of a new era for social media as mainstream coverage became socialised for a mass audience. This is just the start, there has long been acceptance that all media is becoming digital, however yesterday's coverage shows that in the future all media will be social too. 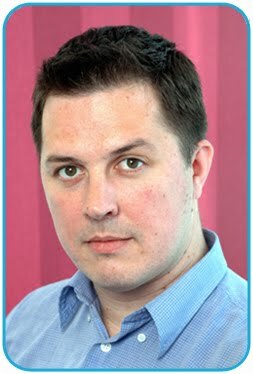 Very interesting NIck - I was watching the inauguration on TV whist keeping an eye on twitter. Nothing connects the world better than live and globally significant events beamed into our homes and onto our (TV) screens. Being able to share our human responses to such events simultaneously from every corner of the globe intensifies this connection and gives us an otherwise unattainable window into what our planet is thinking. Thanks for the comment Henry. Various people have lamented the death of 'watercooler TV' in recent years. I don't think it's died, I think it has just moved to a new place. Rather than face to face post-event conversations over the watercooler, we are now entering a world of virtual conversation in real time. Really excited to see where this will all go. The new White House site looks great but I'm wondering what's happened to all the old information that was on it? Still shows up on Google but you get a White House error message saying the content has gone if you click through! Also how much PageRank credit is a link from the White House blog worth???? !